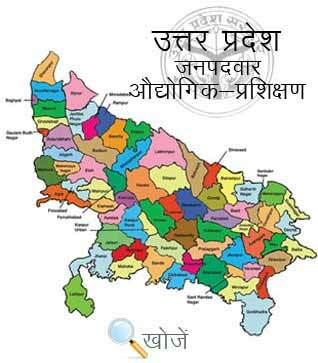 Fatehpur, Uttar Pradesh is located between the two holy rivers Ganga and Yamuna. It’s one of the historically rich and oldest cities of UP. The literacy rate of the city is 67.43%. It has many institutions, colleges, schools, study centers, education centers etc. which provide quality education to the students. As per the demand of technical education, the city has 4 Govt. ITI’s and 8 Private ITI’s. ITI’s or Industrial Training Institutes provide technical as well as non-technical education to the students in over 130 trades. Some of the trades are Mechanic Diesel Engine, Plumber, Fitter, Machinist etc. In Uttar Pradesh, Vyavasayik Pareeksha Parishad (www.vppup.in) is responsible for conducting the entrance examination for admission to various trade courses in ITI’s. In today’s scenario Industrial Training Institutes play a vital role in building the economy of nation. There is a great demand of technically skilled people and for this now presently there are total of 11,964 Industrial Training Institutes in the country out of which 2284 are government while 9680 are private in all states and Union Territories. Training is imparted in 73 engineering, 48 non engineering and 05 exclusively for visually impaired of duration from 6 months to 2 years. The basic qualification is matriculation to join these courses and minimum age up to 14 years. Time range of the courses is 6 months, 1 year and 2 years. Students can also visit online education portal www.upiti.in as well which provides them all necessary information regarding downloading application forms, important notifications, counseling dates etc. to get admission to these trades.